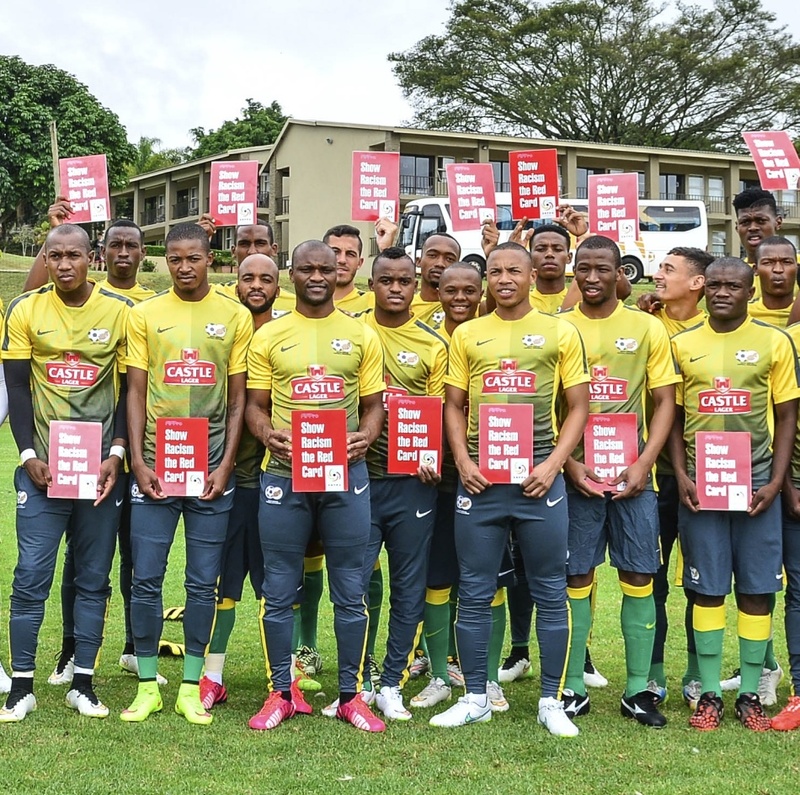 Members of Bafana Bafana and Banyana Banyana Show Racism the Red Card. Neither in society, nor in football is there any place for racism and xenophobia. That is the firm message of the South African professional footballers union (SAFPU) and the players of the national teams of South Africa, both male and female. SAFPU issued an emotional statement, which was supported by all members of Bafana Bafana and Banyana Banyana Showing Racism the Red Card. The situation in some parts of South Africa is very disturbing. The country is suffering from an outbreak of xenophobic attacks against foreigners, notably immigrants from DR Congo, Ethiopia, Malawi, Mozambique, Somalia and Zimbabwe. According to authorities, numerous people have been killed and thousands of people have already been forced to fled their homes and/or their businesses. In South Africa, many are struggling with poverty due to the nation’s high unemployment rate. Immigrants are accused of taking jobs and opportunities away from the local people. Frustration and anger appear to have caused the violence. SAFPU – speaking on behalf of all professional footballers in South Africa - strongly condemns the xenophobic attacks.